Bayley Communications Ltd, has gained contracts from many reputable telecommunications companies. The founder of Bayley Communications Ltd has been well known in the field for some time for his professionalism, dedication and loyalty to his customers – In short, we get the job done quickly and efficiently! 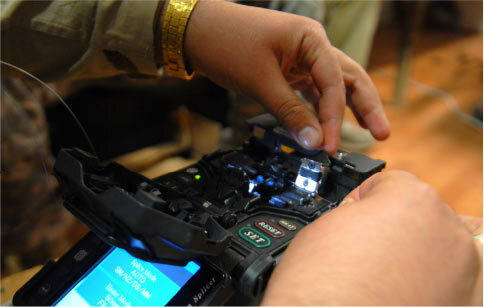 Bayley Communications Ltd has an extensive knowledgeable team of fibre optic engineers who carry out the installation, testing & maintenance of fibre optic cable systems including fusion splicing of single & multimode fibre optic cable, our engineers are also experienced in FTTH installations & P.M.D testing.